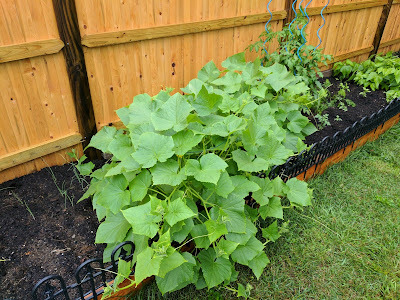 It turns out that I did not in fact, murder my cucumber plants, as they are bigger and lusher than ever! It was a delightful rainy day out and the plants are just cheery about all the wetness. Thankfully the railing is containing them a bit and they are not sprawling across the entire garden anymore, but only barely. 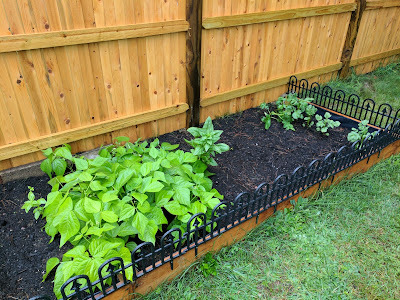 Even with the wire frame I looped them through they are still crawling over the side of the raised garden and into my yard. 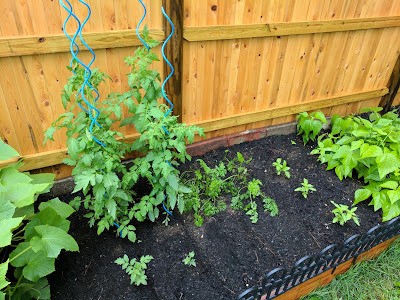 The tomato plants are also getting very tall and some of them are nearing the top of the twisty poles. 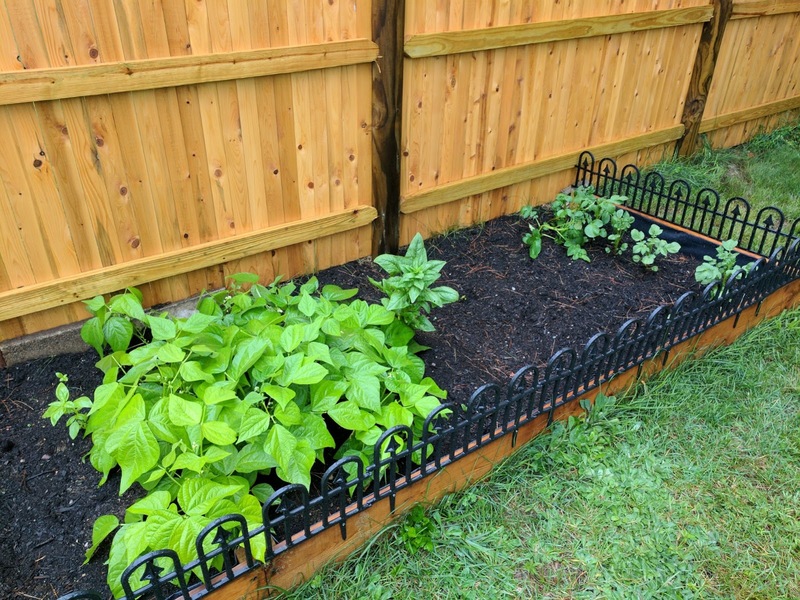 Flower have also started dotting the bean bushes and the potato stalks are springing up. Looks like everything but the garlic and onions are growing very well and I'm looking forward to the buckets of veggies I'll get to pick soon.